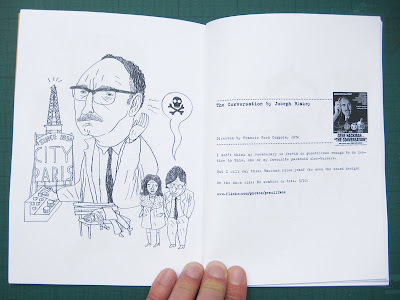 'The Film One' is now available to buy in my shop featuring twenty six original illustrations and designs from the likes of Paul Bommer, Lizzie Stewart, Andy Votel, Lewis Heriz, Henry St Leger, Jake Blanchard, Lord Bunn, Josceline Fenton, Stewart Easton and many more. 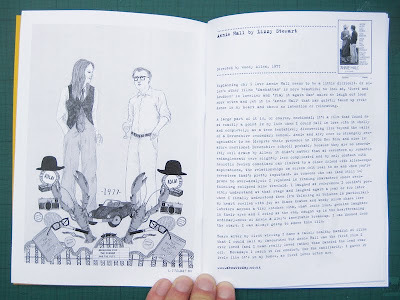 Each artist has contributed artwork inspired by their favourite film and written a few accompanying words for each piece. I've just spent the afternoon in the garden stapling them all - given the amount of pages it's been a bit of a slog but I battled through like the trooper I am. 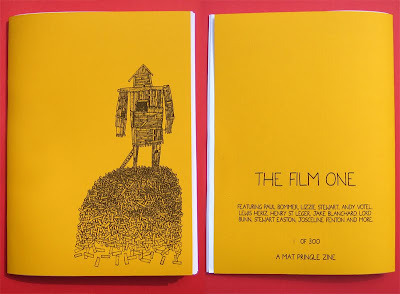 'The Film One' is a tome-like 56 pages with high quality greyscale printing throughout on 100gsm paper with a digitally printed thick card cover. 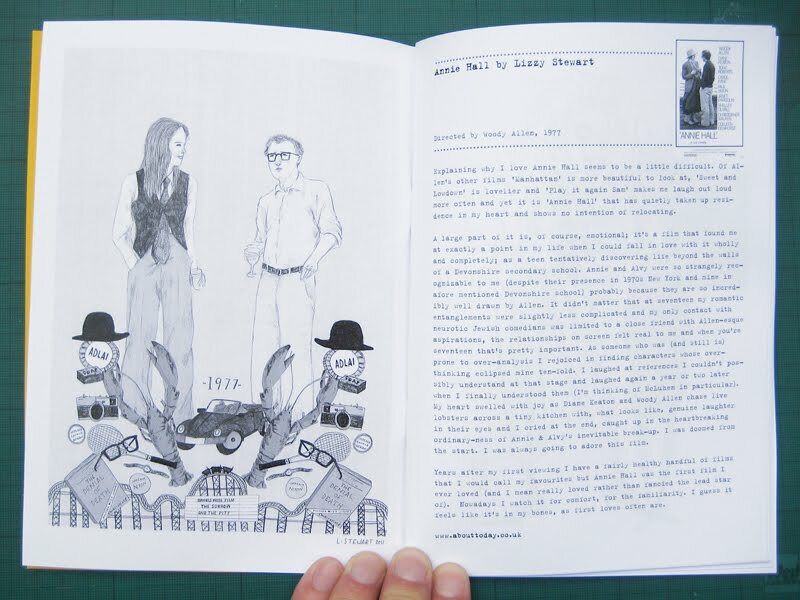 The initial run of 300 features Stewart Easton's superb 'Wicker Man' submission on a variety of yellow and orange card. 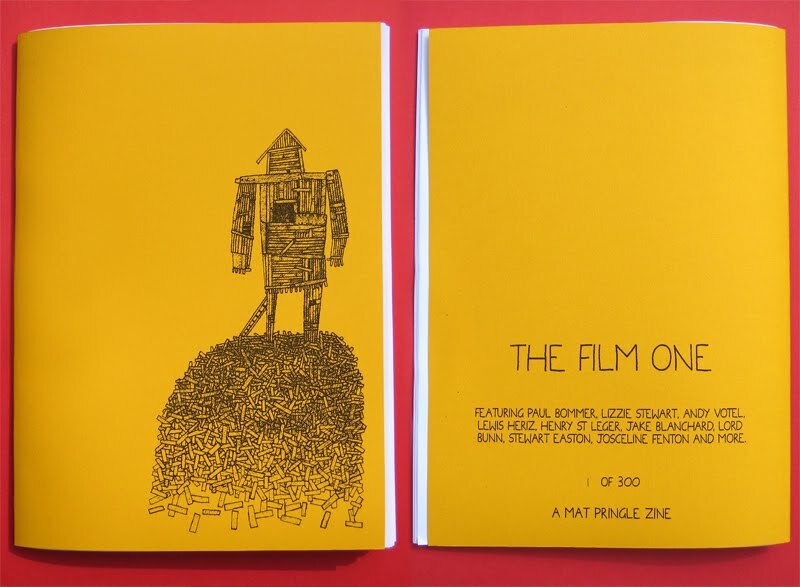 Thanks again for everyone who kindly took the time to contribute stunning artwork and insight to make 'The Film One' possible. Enjoy!